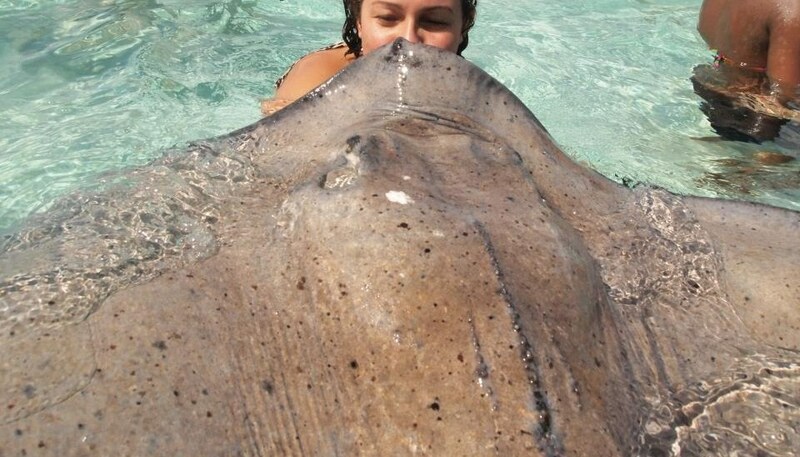 Gorgeous stingray giving me birthday kisses! Look at the size of her! For those of you who don’t know… the underbelly of a stingray is probably the most smooth and wonderful surface you’ll ever touch. This entry was posted in Island of the Stream and tagged birthday, Cayman Islands, kiss, stingray, Stingray City by Nikki. Bookmark the permalink.